(as a child or an adult) You wake up on Christmas morning ready to share the holidays and open gifts with family. Someone hands you a gift that you know is very special. You open the package slowly. What is it? Perhaps you have had this dream at a time other than the holidays, but dreaming about someone giving you a gift often can reflect your seeing a special quality in that person who gives you this gift and wanting just a bit more of this quality yourself. So if you are an adult and someone gives you a toy, perhaps you are wishing you had a stronger sense of playfulness or a deeper connection with your “inner child.” If someone gives you a gift related to a talent you would like to have or do have (music, art, dance) this could also be a sign that you would like to develop it even further. This dream can be a sign that you are pushing yourself to develop your creative gifts or personal hobbies at a more serious level. If the gift is something unique then you may need to sit in meditation or think about what this image means to you. Someone who gives you a baby doesn’t necessarily mean that you are having a baby or that you want to be a baby. It could mean that you wish to “baby” yourself or that you need to be more tender with others. Or that there is a tiny part of yourself that wants to become bigger – the way a baby grows. Holiday gifts can be fun, surprising and sometimes a bit unusual. 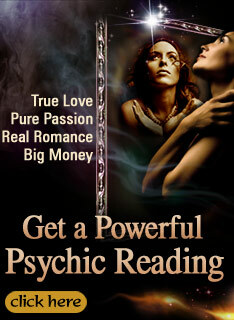 When they appear in your dreams – let these gifts awaken your desires and show you what is truly inside of your heart.